Basic custom imprint setup & PDF proof included! A modern desk pad with ample room for monthly notes. 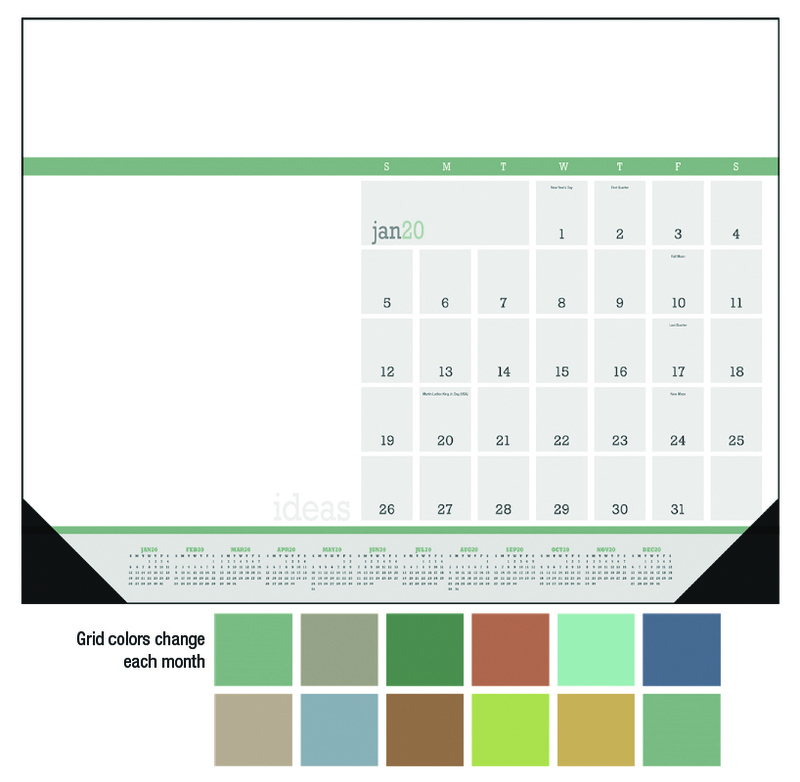 This large desk pad calendars features extra space to sketch ideas, jot notes, or doodle with grid colors that change each month. Black vinyl corners included standard. 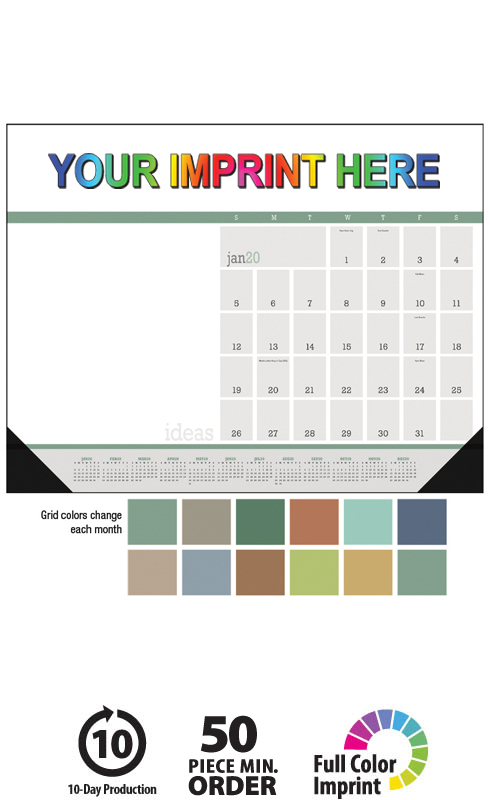 This high-quality Modern Desk Pad Ideas Calendar will proudly display your message for the entire year!